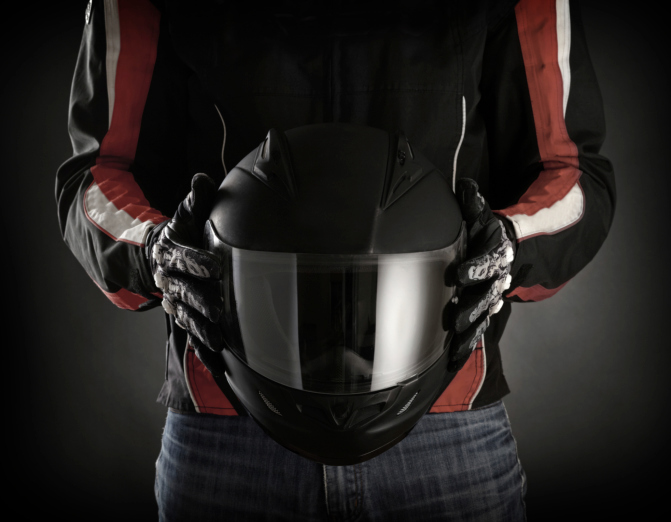 “Smart” motorcycle helmets could be a game-changer for safe riding. High tech helmets can provide a visual display from a rear-view digital camera, GPS navigation and other features in a transparent heads-up display (or “HUD,” a digital display of readings that are viewed with no need to lower eyes, and projected onto the visor without limiting vision). Skully is at the forefront of this revolution, now moving into the manufacturing phase after landing $11 million in funding from investors. Reevu also offers a new helmet with a rear-view camera and display, and other companies such as Fusar Tech are developing similar products that will soon be on the market. Motorcyclists have flocked to participate in the beta-testing of these products, and pre-sales are extensive. Some critics express concerns that HUD will be a distraction to the motorcyclist, but with familiarity with the transparent display, riders are expected to be far more likely to avoid the potentially tragic results of an impact. As a motorcycle rider involved in an accident is estimated to be 26 times more likely to be injured than a driver of a passenger car, this technology could be the answer. Other new products implementing digital technology are products manufactured to mount around an existing helmet, giving the rider the ability answer incoming calls from a smart phone, listen to your music, and get a video capture of the ride, as well as weather forecasts and the details of the ride, including arrival times, speeds, and other data. The ability to gain access to 360 degrees of data, including blind spots, as well as a turn-by-turn digital display for directions gives riders an unprecedented level of safety. Whether a recreational rider, racer or use your motorcycle to get to work or school, knowing what is going on behind you could save your life. A full 180 degrees of data from the sides and behind is expected to reduce the numbers of motorcycle accidents that occur due to the actions of a distracted or inattentive driver who has failed to observe the motorcyclist in the adjoining lane, at a stop or when turning. The numbers tell a frightening story, with the Insurance Information Institute reporting that in a recent year, 2,668 motorcyclists died, and 88,000 were injured. With about 8.5 million motorcycles on the road, with numbers increasing every year, a focus on rider safety is long overdue. These helmets may be the answer to the problems motorcyclists deal with every day – drivers who are not paying attention. When a motorcycle accident takes place, the outcome is often tragic, leading to incapacitating injuries or loss of life. Commonly the injuries include broken bones, severe abrasions, and in the worst cases, traumatic brain injuries, spinal cord injuries and amputations. Any of these injuries are very possible, even in slow speed impacts. These helmets bring new hope for riders are essentially, putting their lives at risk when sharing the streets, roads and highways across America.